Air Torque Spa is the worldwide leader in pneumatic actuators. The deep market penetration is granted by wide sale network spread all over the world. Affiliated Companies and Official distributors contribute to cover and serve a wide market. Direct Air Torque business with valves OEM manufactures and big End-users completes the picuture of the sales network. 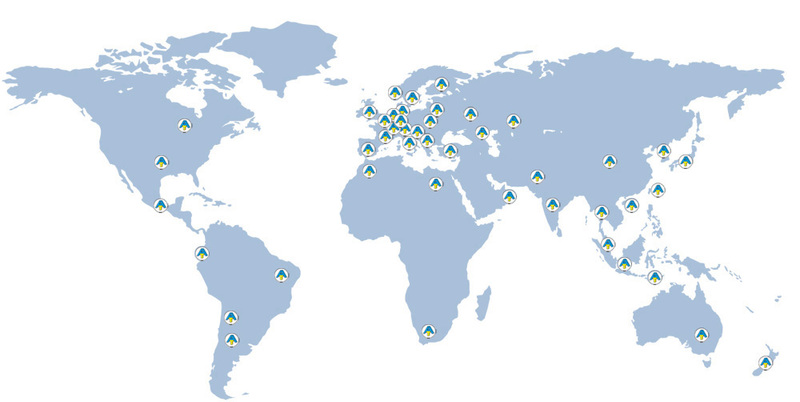 It is easy to find original Air Torque products worldwide.